I'm posting a couple of days late this week, apologies for that. I'm away on a business trip to Regina, SK. Last week I posted that spring had arrived and it felt that way in Regina on Monday, but yesterday I woke up to snow and it's turned cold here. Boy the wind sure is cold when you walk to work! 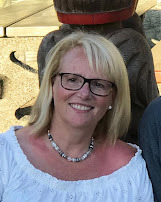 I've been in Regina a lot this winter and it has been a very mild winter here - very little snow and not too many days of really cold weather. I wanted to share a fancy fold card with you. I really like the soft colours on this card. 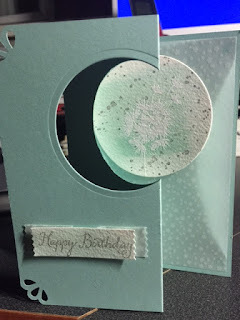 I used the Balloon Celebration Stampset from the Occasions Catalogue. 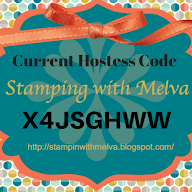 I stamped the stem and "dandelion fluff" image (not sure what it is actually called) multiple times using versa mark and then embossed using White Embossing Powder. I then watercolored over it using Pool Party. I'll post the template and more instructions for this cards on my next post. 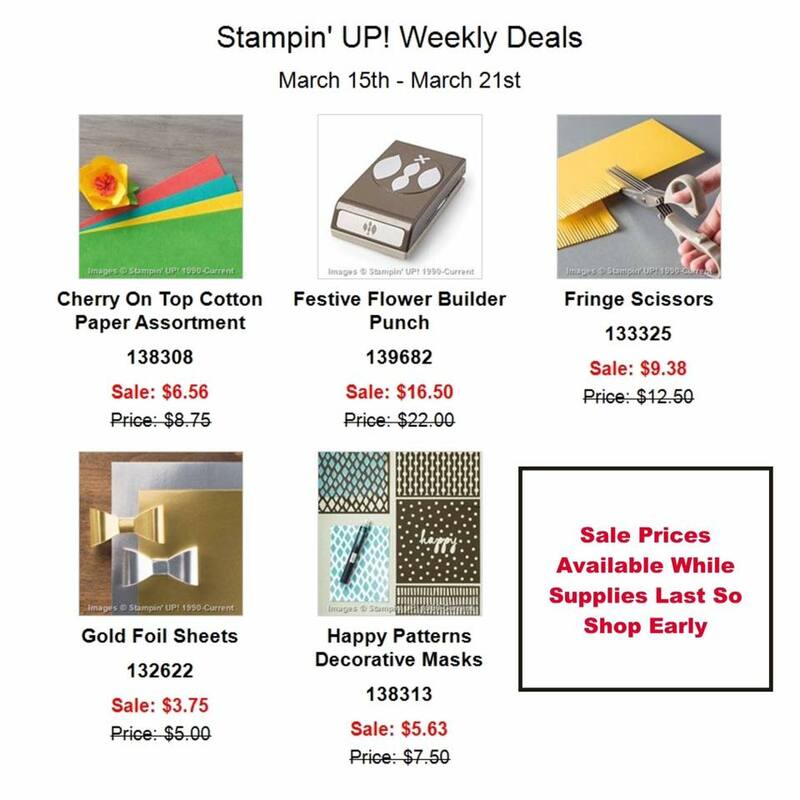 Here's the Weekly Deals from Stampin' Up! These deals are available until next Tuesday or while supplies last. Spring seems to have arrived! Caseing - what does it mean and how do you do it?